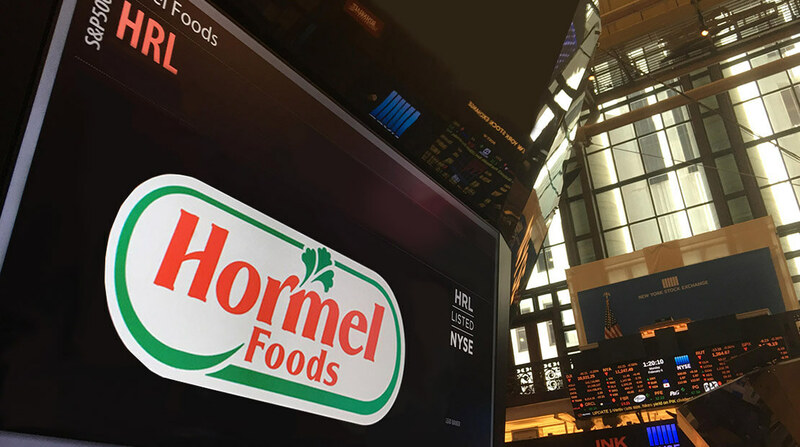 Hormel Foods Corporation (NYSE:HRL), one of the nation’s largest manufacturers and marketers of consumer-branded meat and food products, today announced that it has set an ambitious new goal for growth through innovation. “Go for $2B by 2012,” aims to achieve $2 billion in total sales of products created since 2000 by the year 2012. The new goal builds on Hormel Foods’ success with its Billion Dollar Challenge, which it met two years early. The challenge was for Hormel Foods to generate $1 billion in sales from new products launched in this decade, beginning fiscal year 2000 and ending fiscal year 2009. By the end of fiscal year 2007, Hormel Foods reported total sales of $6.19 billion with more than $1 billion generated from new product sales. Hormel Foods was able to meet this challenge because of the success of new products across its business divisions. Especially successful new products include HORMEL® party trays, HORMEL® NATURAL CHOICE® pre-sliced deli meats, HORMEL® COMPLEATS™ microwave meals and JENNIE-O TURKEY STORE® oven ready items.